Molds may grow in your home without you noticing because they love warm, dark, and humid places. 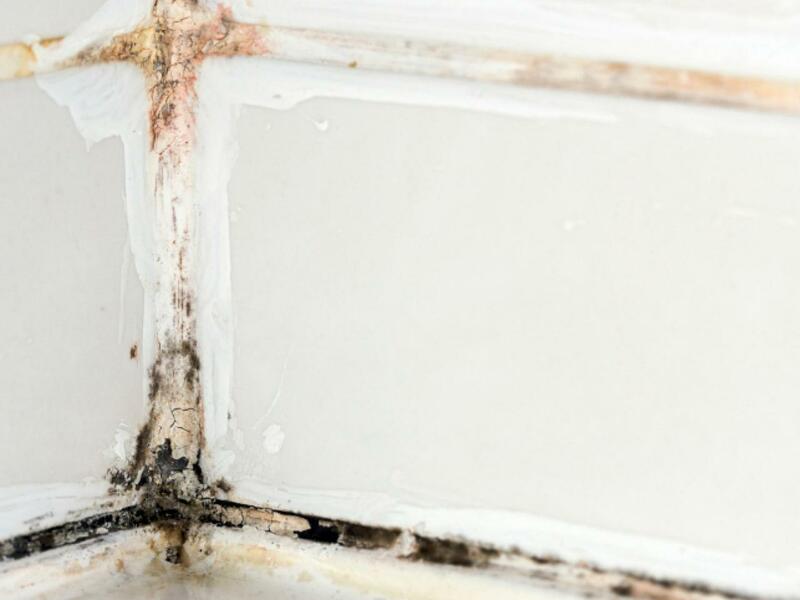 Your kitchen cabinets, bathroom, attic, or basement are some of the common places that mold love because they are in constant contact with moisture. However, leaving molds unattended can cause a lot of health issues such as allergies and respiratory complications among others. This is why it is critical to kill molds at first sight. When it comes to mold removal, many experts recommend using natural ways instead of harsh chemicals such as borax and bleach. Removing molds via natural, non-toxic methods won’t hurt your family, items, pets, and the environment. Without much ado, therefore, the following are the top 5 non-toxic methods that you can leverage on to banish mold from your premises. Various studies have confirmed that vinegar solution kills up to 85 percent if mold spores as well as bacteria and viruses. It can also prevent mold growth if it is sprayed on surfaces and left to dry. Most people tend to dilute the vinegar with water to reduce its pungent smell. However, for effective mold removal, just spray it straight from the bottle to the mold-infected area. Leave it for a few hours and scrub the mold with a brush. If you can’t tolerate the smell of the vinegar, you can add a few drops of essential oils. Eliminating mold with hydrogen peroxide is another important alternative to harsh chemicals such as chlorinated bleach. It is not only inexpensive and non-toxic but it doesn’t also leave a toxic residue after use. It serves as a great antifungal, antiviral and anti-bacterial agent. Unlike using bleach and ammonia, you can use hydrogen peroxide to remove mold from porous surfaces such as walls and clothing. Nonetheless, it is important to note that hydrogen peroxide often acts as a mild bleaching agent, and it is advisable to spot test areas that you plan to clean first to prevent excessive beaching. When used with water or vinegar, baking soda can be effective in removing molds from any surface. Dissolve it into water or vinegar-water solution, and spray it on the affected surfaces. Allow it to sit for a few hours, then scrub and wipe it with a damp cloth. Being a natural disinfectant and incredibly mild in smell, using baking soda will allow you to clean mold easily without leaving a scent behind. Tea tree oil is an effective natural mold remover. However, it is considerably more expensive than the above eco-friendly mold removal remedies. Nonetheless, this shouldn’t deter you from using this versatile extract because even just two spoons of the oil mixed with two cups of water are enough to clear mold from considerably bigger space. Spray the tea tree extract-water solution onto the affected areas but don’t rinse. The extract has a strong smell but it will go away after a few days. Like Tea tree oil extract, this is a non-toxic and green way of removing molds. It disinfects and deodorizes, and is considered safe for children and pets. It has very little to no odor, so using it daily or weekly will not expose your family to strong and uncomfortable fumes. Like tea tree extract oil, Grapefruit seed extract oil is a bit expensive but it stores quite well and has a considerably longer shelf life. Dilute about 20 drops of the extracted oil with two cups of water. Mix the solution in a spray bottle and spray directly on the mold. Like other oil extract-water solutions, do not rinse. All the highlighted remedies are great eco-friendly alternatives to chemical-based mold removal cleaners. They are, therefore, not only safe for the environment but are also safe for family use. What’s more, most of them are inexpensive, and you can easily find them in your local stores. If you are not sure how to use some of these remedies effectively or you have a few questions concerning a given remedy, there is no harm in consulting the help of a mold cleaning and remediation expert. Today, with the help of free website builders like Weebly, every expert has an online presence, so a simple Google search of mold removal experts near you will bring tens of great experts that you can contact. For more information and tips on mold removal and remediation, follow our blog, https://moldremoval2018.wordpress.com/. Can You Make Your Home Resistant To Mold?